A 400-metre-long boardwalk on Australia’s iconic Sunshine Coast has reopened to the public having undergone substantial refurbishment. 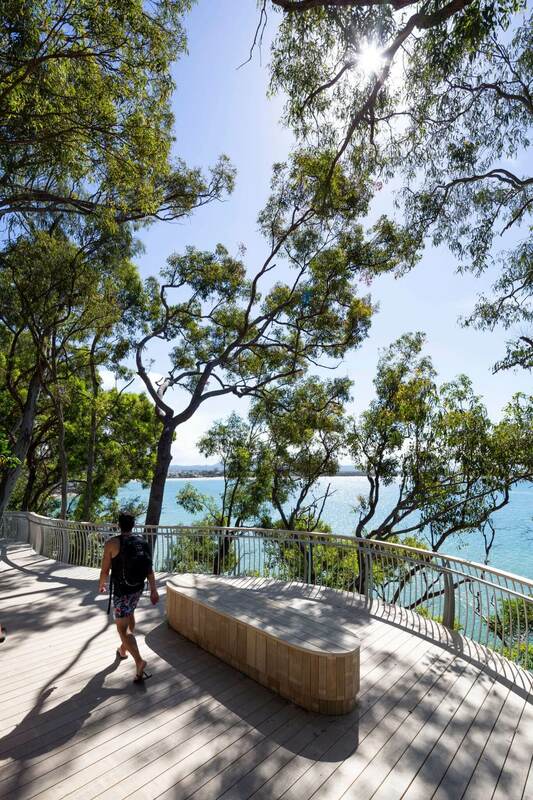 Situated in Noosa, the updated boardwalk offers seating, viewing points and LED lighting with movement sensors and timers, to maximise the pedestrian experience and complement Noosa’s World Surfing Reserve and Unesco-biosphere reserve status. It is complete with a surfboard-shaped shower, which was hand-carved locally using Accoya wood. Architect Grant Calder of Flexure was commissioned by Noosa Shire Council to oversee the design and construction phases, with minimal environmental impact both during the build and post completion, a deciding factor in the replacement strategy. 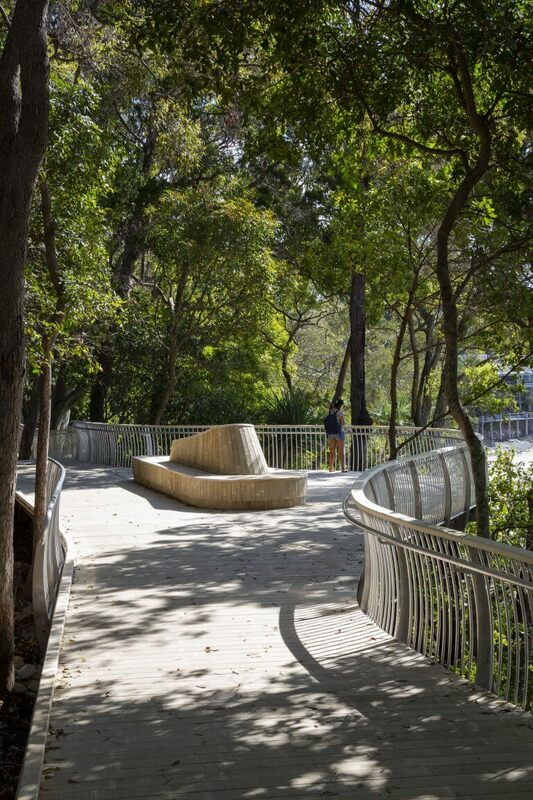 The existing boardwalk, handrails and public seating were replaced with an all-new wider, curving structure. All decking, seating and stairs are constructed from Accoya®; a world leading high performance wood product that offers significant environmental and performance benefits. Its superior dimensional stability, durability and reliability means it’s not susceptible to rot, warp, shrink or swell. It is a lightweight material which can withstand the harshest of climates with minimal maintenance requirements. The high thermal break of Accoya® in direct sunlight and warm climates means that there is no risk of splintering, making it a barefoot-friendly material for pedestrians. Accoya® is sourced from FSCâ certified forests and is Certified Cradle to Cradle™ (C2C) Gold in recognition of its sustainability credentials making it an environmentally sound choice. The boardwalk has been designed to be in keeping with the natural setting. It has retained 99% of the existing coastal rainforest and has already received the coveted Regional Green Space Award from the Australian Institute of Horticulture. This section of the coastline is inhabited by koalas and other native animals, and it is the gateway into the National Park. 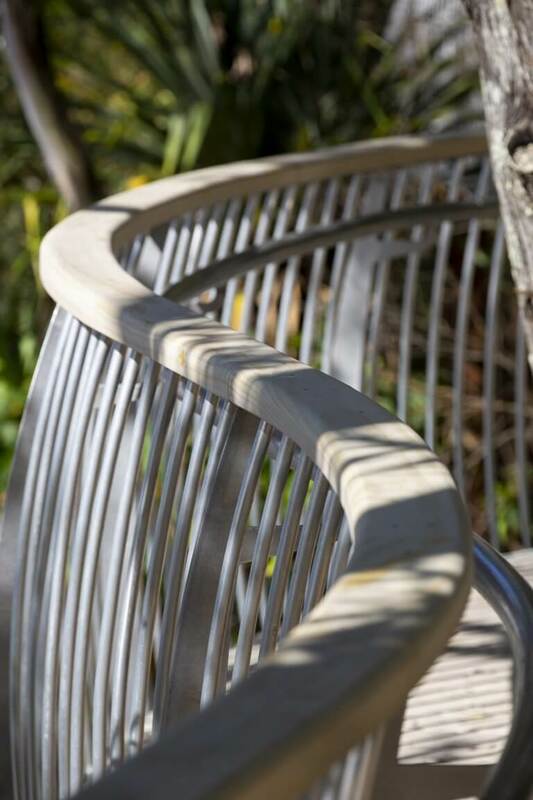 Accoya is also non-toxic and 100% biodegradable, which is key for protecting for the boardwalk’s surroundings. 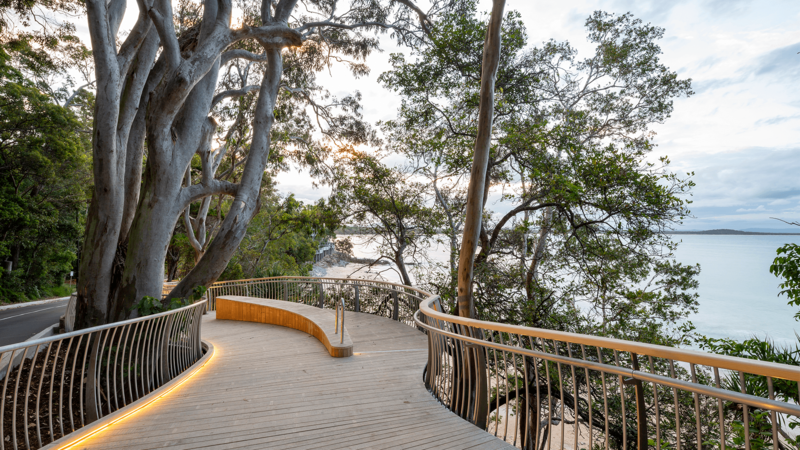 Completed below budget and two months ahead of schedule by Hutchinson Builders, the boardwalk features over 60m3 of Accoya wood which was supplied by Britton Timbers’ sub-distributor Gowan Lea Timbers. 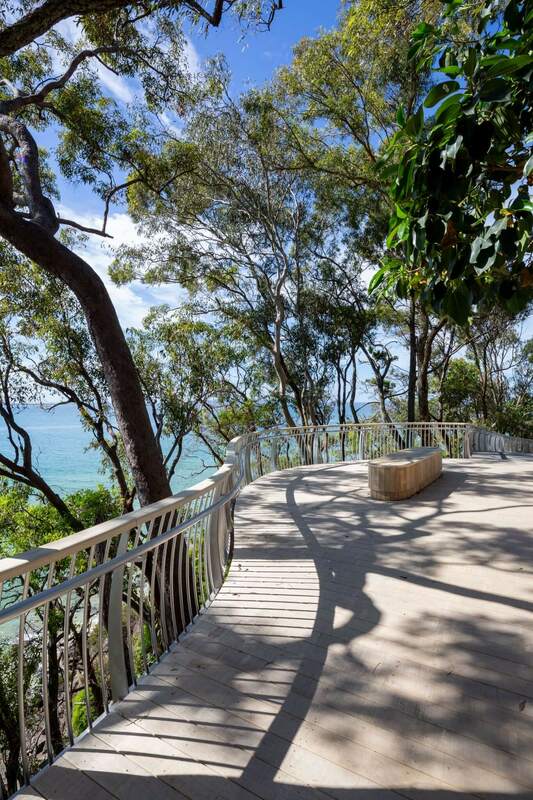 Noosa Heads is renowned for its surfing beaches and pristine environment in addition to the scenery of the 40 km² Noosa National Park. The boardwalk is along the popular stretch connecting the area of Little Cove to the entrance of the park, allowing pedestrians to enjoy views over the beaches and ocean. To see a list of distributors, please visit www.accoya.com/where-to-buy/. Accoya is wood, but not as you know it. It’s stable, durable and sustainable. Modified using Accsys Group’s proprietary acetylation process, a cutting-edge patented technology, this high-performance non-toxic wood resists rot, defies elements and stays strong for decades. Accoya is sourced from FSCâ certified forests making it the sustainable choice. With a guarantee of 50 years above ground and 25 years in ground or freshwater, Accoya is low maintenance and offers value for money. From joinery for the home to award winning architectural projects, Accoya wood is a world-leading material that stands up to every application challenge – windows, doors and more!